Heat oven to 375°F. Spray 9 1/2-inch deep-dish pie plate with cooking spray. In large bowl, gently toss Fruit Mixture ingredients until apple slices are coated. Pour evenly into pie plate. In small bowl, mix granulated sugar and 1/4 teaspoon cinnamon. 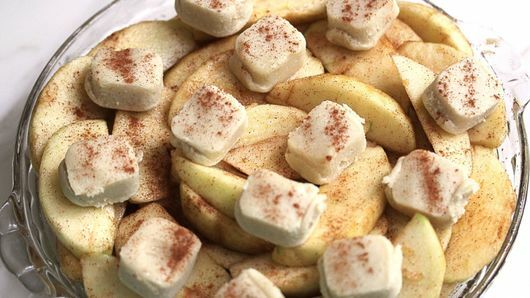 Dip top of each cookie into sugar- cinnamon mixture; arrange on top of apple mixture. Bake 50 to 55 minutes or until Topping is golden brown. Cool slightly before serving. 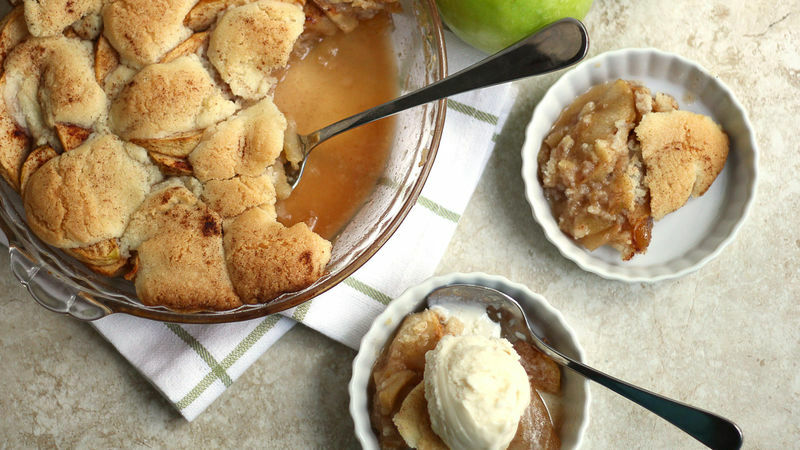 Try this cobbler with whatever apples you have on hand. 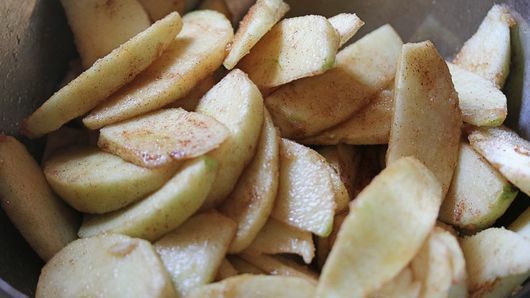 If you use less-tart apples, adjust the brown sugar amount. Make sure you serve the cobbler warm with a scoop of vanilla ice cream. It really takes this dessert over the top!